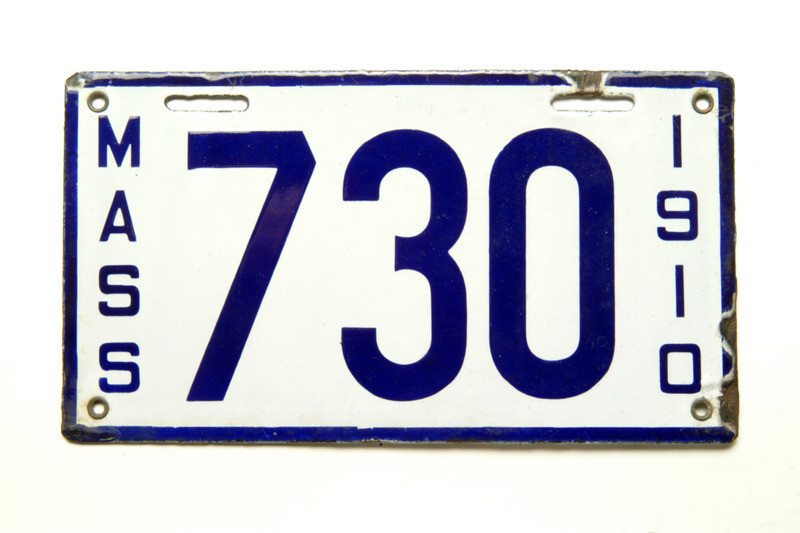 "Drivers' license, New York, 1926"
"License plate with house numerals, Washington, D.C. "
In the early 1900s, many states issued vehicle license numbers but not license tags. 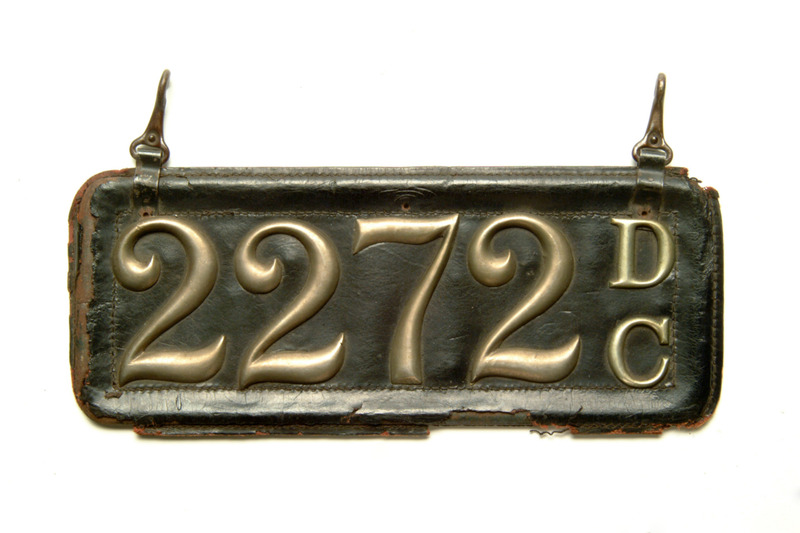 Vehicle owners made their own tags, often using house numerals and leather. 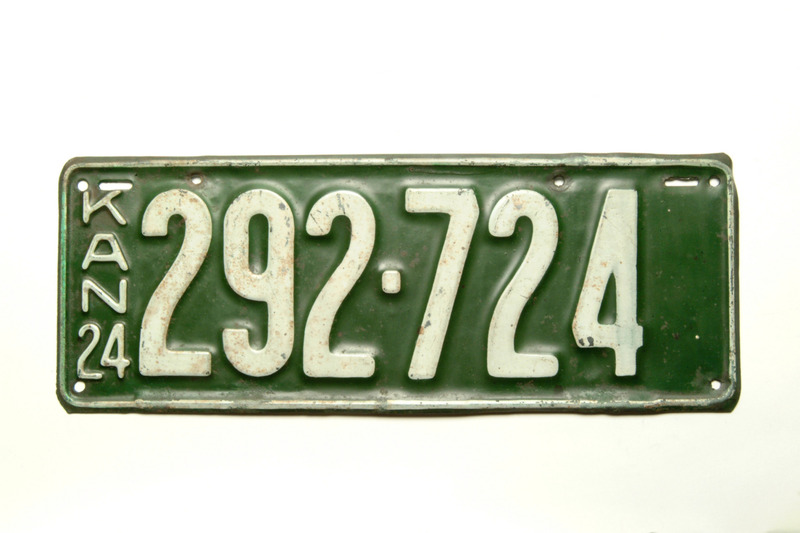 By the late 1910s license plates were made from porcelain enamel on steel, and then from stamped steel. 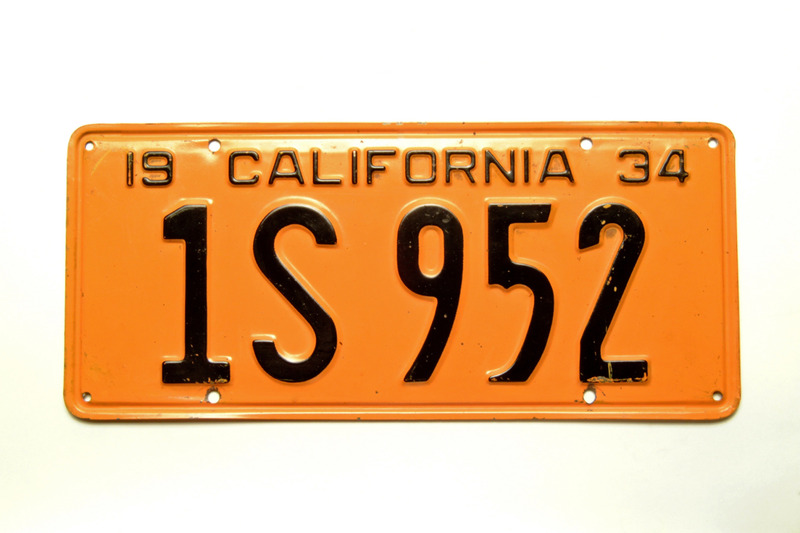 Sizes varied until 1956, when a standard size was adopted nationwide. Garrett Morgan, an African American inventor, demonstrated this manually operated illuminated traffic signal in Cleveland, Ohio. In addition to “Stop” and “Go,” it had a signal that stopped traffic in all directions, providing a safe interval for pedestrians. In the 1920s, traffic towers enabled police officers to see above trucks, trolleys, and heavy traffic as they operated signals. This tower stood at Fifth Avenue and 42nd Street in New York City. By the 1920s, congestion, accidents, and parking problems clogged city streets. Cities imposed speed limits, installed traffic signals, and tried one-way streets, parking restrictions, and parking meters to keep vehicles moving. More traffic also meant more traffic laws. William P. Eno, a crusader for better traffic management, composed “Rules of the Road” and other traffic guides, which became the basis for many cities’ traffic laws. Traffic management, road maintenance, expanded police departments, and new construction ate up large segments of municipal budgets, and cities looked for new sources of revenue to cope with the presence of motor vehicles.